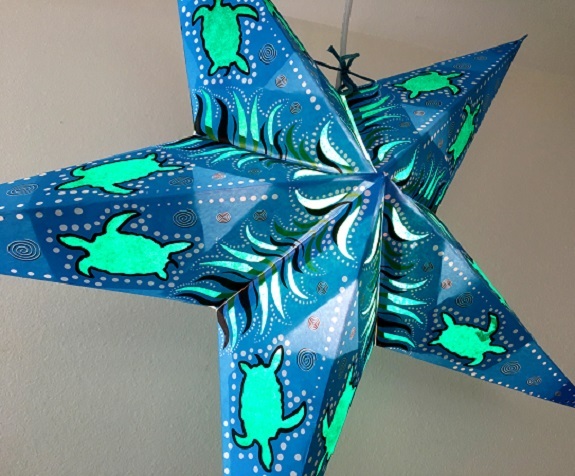 The Honu Star Lamp has a bright blue background with turtle cutouts that are backed in green tissue paper. 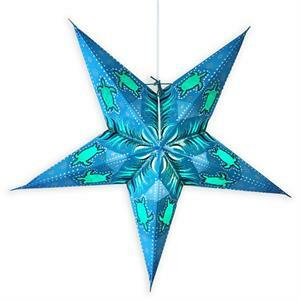 Star also has a printed design with water droplets, swirls, and sea grass. Fun star! Measures about 24" from tip to tip, about 6" deep. Ships flat with complete instructions. 12' cord with on/off switch optional for a little extra. 40 watt lightbulb not included.